We looked after the PR and social media campaign for the U.S. theatrical release of Planetarium starring Natalie Portman and Lily-Rose Depp. 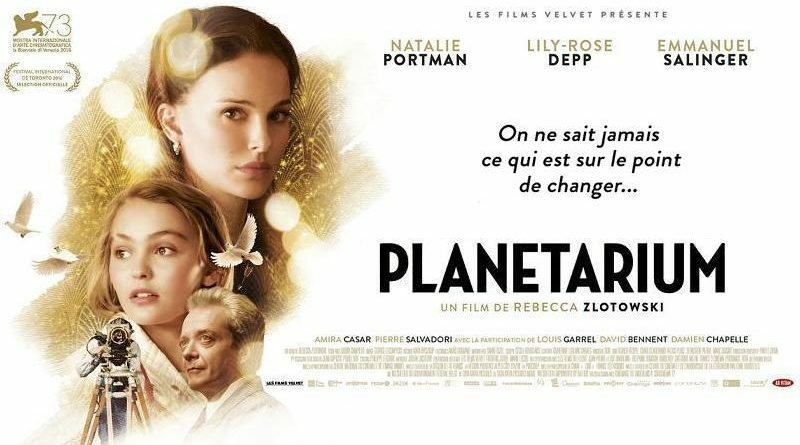 Planetarium is the story of two sisters set in Paris in the late 30’s, Laura Barlow (Natalie Portman) and Kate Barlow (Lily-Rose Depp), who are believed to possess the supernatural ability to connect with ghosts. They meet a visionary Jewish French producer, Andre Korben, (Emmanuel Salinger) who is fascinated by their supernatural gift and hires them to shoot an ambitious experimental film. What they perceive as a perfect opportunity to gain recognition, soon spirals into a game of hidden agendas that tests human limits. We handled all aspects of the campaign, shaping and sharing digital content, engaging with fans on social media, securing social media influencer support, and the national and local publicity campaigns, generating millions of impressions. Publicity highlights include The New York Times, The New Yorker, Vulture, LA Times, BuzzFeed, Teen Vogue, People Magazine, Entertainment Weekly, InStyle Magazine, Women’s wear Daily, Nylon Magazine, Health.com, Bustle, W Magazine, Yahoo, Entertainment Voice, Hollywood News Source, IONCINEMA, Red Carpet Crash, Shockya.com, The AV Club, BGR.com, JustJared, Women and Hollywood, Kveller, Movies.com, FirstShowing.net, Joblo, SyFy.com and Variety Magazine.